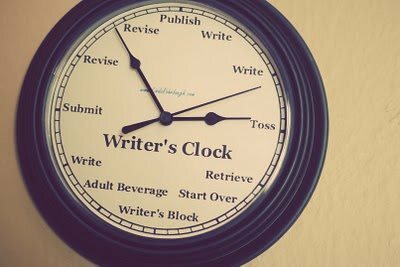 You can get a Writers Clock for yourself or the writer you love here. PS Lots of great literary readings and events going on this month to celebrate the occasion of National Poetry Month! You’ll find me reading this Saturday night April 14 at 7pm in Santa Barbara at the Contemporary Arts Forum! Write, write, write, revise, revise, revise! Sound familiar?